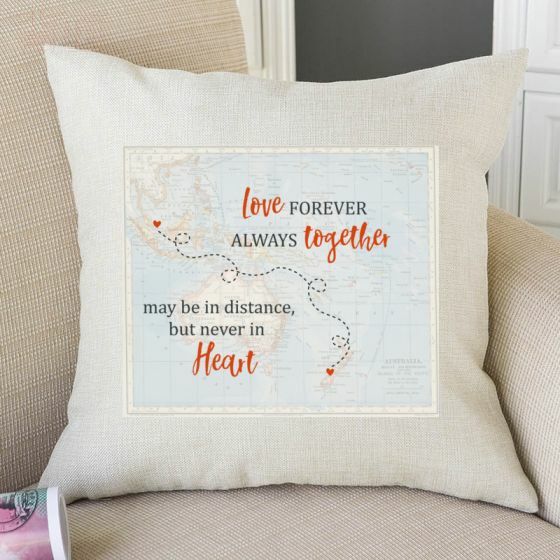 Love is forever, and this throw pillow says it well for loved ones living at distance. Love can never be separated no matter the distance, which makes this a top choice for a heartfelt gift! Choose your country and let our designers do the work. Gift this sentimental pillow to your special loved one today!